Sailor Moon is an anime and manga series in the mid-90s that tells the story of a middle-school girl who became a Sailor Warrior to battle evil together with other Sailor Warriors. One of the said Sailor Warriors is Sailor Jupiter, whose civilian name is Makoto Kino. 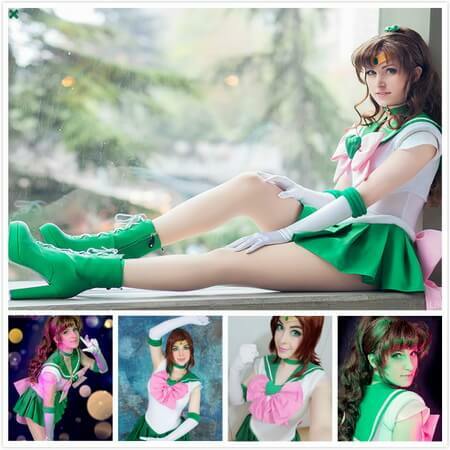 Here is a Sailor Jupiter cosplay guide. Sailor Jupiter is the third sailor soldier that the main character, Usagi Tsukino, had discovered in the series. She is also one of the five original Inner Sailor Warriors in the series. The Sailor is also known as the muscle of the group because of her superhuman physical strength. Sailor Jupiter’s civilian identity, Makoto Kino, is also physically imposing with her power and height. She was rumored to be kicked out of her previous school due to fighting, paving the way for her to join Usagi and the others at Juuban Municipal High School. As one of the original Inner Sailor Warriors, Sailor Jupiter is a popular option for ladies when it comes to dressing up as characters from the Sailor Moon series. As one of the original members of the Inner Sailor Warriors, Sailor Jupiter is also one of the main characters of the Sailor Moon series. She is known as the Sailor of Protection, getting her powers from the electricity and plant. Sailor Jupiter is also the strongest, physically, among the Sailor Warriors. It is not complicated to cosplay Sailor Jupiter as she is wearing a sailor school uniform. This Sailor Jupiter cosplay set comes with the full costume, which includes the white sailor school uniform with green collars and green mini skirt. It also comes with a pink bow at the front with green heart-shaped button, white elbow-length gloves with green bands at the elbow, and green boots. The set includes a long brown wig for the character’s hair and Sailor Jupiter’s power stick. 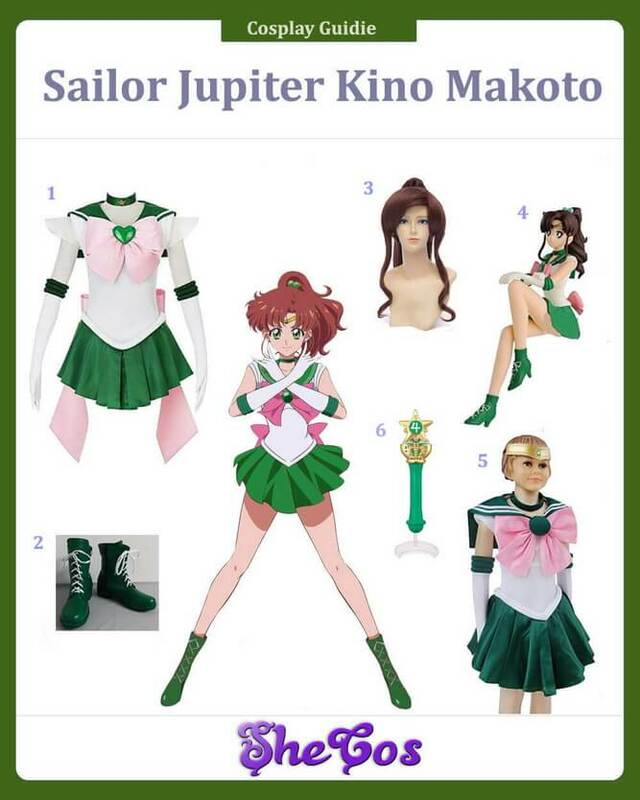 This cosplay set also comes with a Sailor Jupiter figure and a full costume for kids. Sailor Jupiter is likely one of the most consistent characters in Sailor Moon, regardless of what series you are referring to. She is always depicted as someone who is physically strong and tall but also possesses specific domestic skills like cooking and gardening. She is considered the most masculine and feminine character among the Sailor Warriors, combining her physical strength with powers that she will need when she gets married. 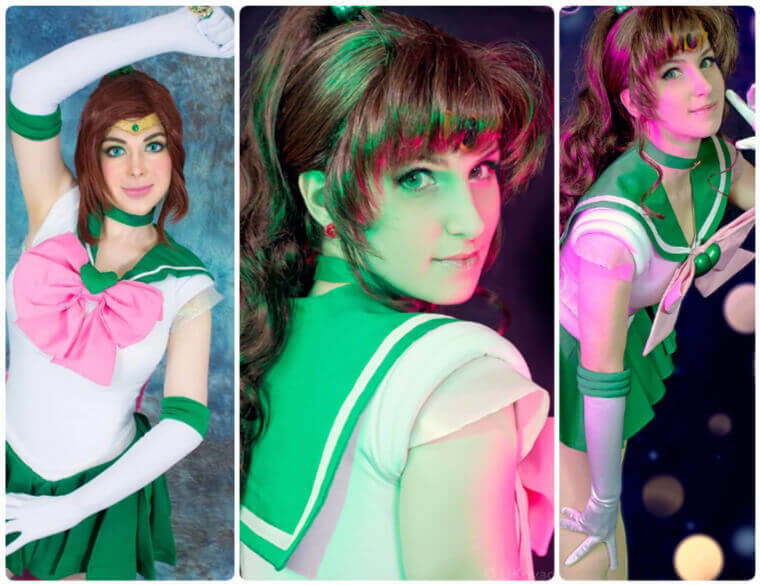 Despite the unique set of skills and talents, Sailor Jupiter is still a popular option for ladies looking to cosplay Sailor Moon characters for costume parties or comic conventions. 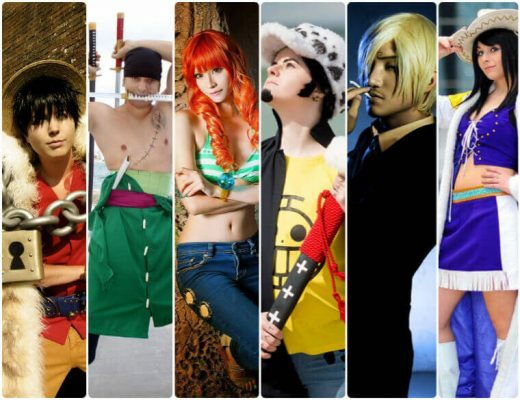 If you look at the cosplay photos, Sailor Jupiter’s unique physical skills will not be a hindrance to still looking good dressing up as this character. She still has her unique beauty and attractiveness as shown when the character is cosplayed right.